“Give your child a creative spark to know about aeronautics. 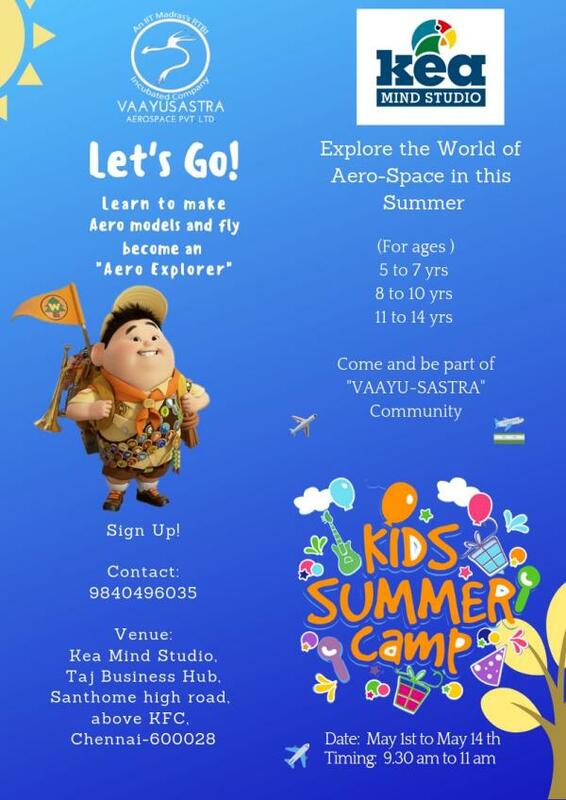 Here we have Aero Science Workshop for kids from ages 4 to 14. Let them learn Science concepts through stories that are unforgettable. Daily DIY Projects and lot more fun. Batches starts from May 1st to May 14 at 9:30 AM.